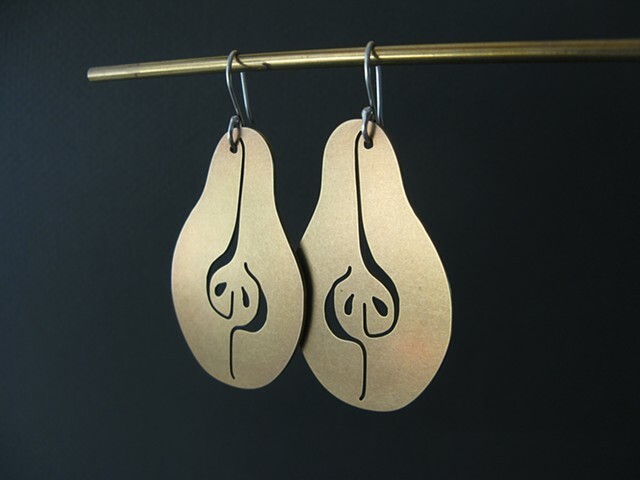 Each pear slice measures 1 7/8" x 1 1/4" and hangs on handmade sterling silver ear wires. These are definitely statement earrings! "Therein grow trees, tall and luxuriant, pears and pomegranates and apple-trees with their bright fruit, and sweet figs, and luxuriant olives. Of these the fruit perishes not nor fails in winter or in summer, but lasts throughout the year; and ever does the west wind, as it blows, quicken to life some plants and ripen others; pear upon pear waxes and ripens, apple upon apple, cluster upon cluster, and fig upon fig..."